It’s a trying time to be a woman. But even though we strongly support feminist activism and political change, sometimes you just need to take a mental break from it all. And there are only so many rom-coms that you can watch to keep your mind off things.So what can you do? Meditation, we say. It really can work, even if you’re crazy busy. 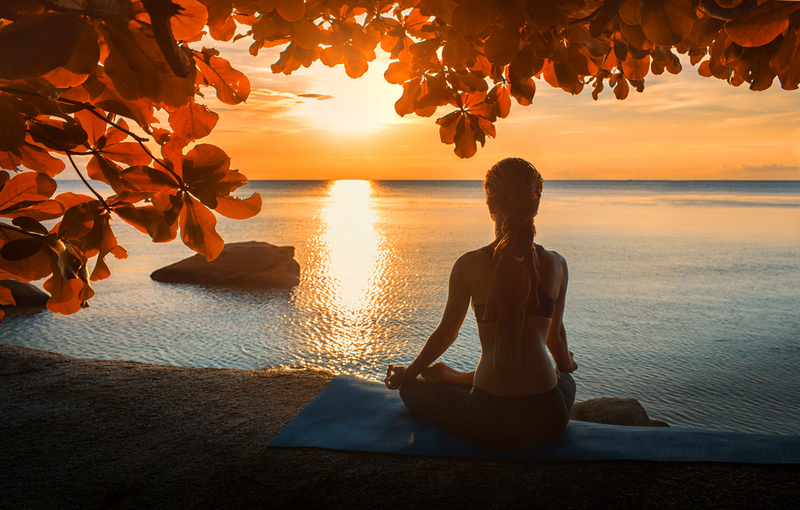 Meditation can help you deal with stress and negativity, according to Business Insider. Moreover, it’s just a good way to slow down, check in with your body, and do some self-care. Honestly, if we all spent five minutes a day meditating, the world might be a much more chill place. And we’d argue right now, we need these coping mechanisms more than ever. Luckily, there are tons of mobile apps available today that make guided meditation super easy. Below, the five meditation apps we’ll definitely testing out on our phones over the next four years. Offering quick, three-to-seven minute sessions, this app is great for on-the-go meditation. They cater to your specific mood, whether it’s stressed, anxious, happy, or sad. Aura is free for one three-minute meditation a day, but you can upgrade for longer sessions you can use more frequently. This app specializes in 10-minute spoken word exercises, and you get 10 free when you download the app. The creators say that scientific studies have proven that Headspace improves happiness and compassion (two things we all need right now). Also, Emma Watson is a fan. According the app’s website, Calm “brings clarity and peace of mind into your life” (um, sign us up). Offering both guided and unguided sessions (in the latter, think pretty landscapes and soothing sounds.) There’s also a series that’s focused on improving sleep. This one’s pretty simple: Guided meditations based on what you’re doing, whether it’s walking around the city, feeling sick, or struggling to fall asleep. The app is designed to reduce stress and improve sleep. These five downloads are sure to help us all get to 2021.